How to use these tools as a revenue-generating engine for your restaurant? Digital technologies are rapidly changing the food delivery industry. Customers more and more use apps and websites to order their food. Food delivery apps emerged to cater to the needs of customers to have all cuisines and local restaurants in one place, ready to be delivered to them with one click. Food delivery apps are also useful to restaurant owners. They lower the cost of entering the delivery market for restaurants. They allow restaurants to have all food delivery operations outsourced and get over with. And finally, they are helping restaurant owners to reduce the costs of drawing more customers to their establishments. However, this help is not offered for free. Wolt (serving North, Central, and Eastern Europe). The market seems to head towards aggregators owing part of the chain, food delivery or even food production. » Third-party aggregators have already a well-established customer base and they do marketing on regular basis to drive traffic to their website. » Some of them hire and manage the fleet of drivers. This can be very useful because it saves on cost, risk and logistical headaches that come with managing a fleet of delivery drivers. However, the outsourced service is not always consistent. It is crucial to be able to guarantee the quality, temperature or state of the food after it leaves your restaurant. Remeber, if the food doesn’t have the right taste or temperature due to poor delivery conditions, customers will blame the restaurant, not the delivery service. » They take a % fee of each order, that is usually agreed on per restaurant basis. This fee could range from 13% of sales for traditional delivery services, up to 30-40% for newer services such as UberEats. The percentage of profit held by restaurant aggregators can make it difficult to find an upside. » Apart from the % fee of every sale made through their platform, some aggregators also take a one-off connection fee. As Just Eat explains, these one-off connection fees are charged to cover the cost of hardware installed in the restaurant and the sales and onboarding process. Connection fees can range up to 1000$. » Sometimes they tie you into a long-term contract or even ask for exclusivity, especially if you want to negotiate better prices. » The proceeds from your orders made through this platforms usually don’t go straight to your account. It can take even up to two weeks before you receive money from your orders. » There are a limited or no personal interactions between your customers ordering through a third-party aggregator and you/your employees. Having no personal interaction with customers it might be challenging to communicate your competitive advantages and values. For example, if one of your restaurant’s differentiator is exceptional customer service and individual approach to the customer it might be difficult to transmit this advantage through a third-party online channel. → Diversify your revenue streams and choose carefully who you partner with. It is best to research and to know which services offer the best terms and have the highest customer satisfaction rates. You should carefully choose third-party aggregators to partner with. If the aggregator’s logistics are insufficient, or the aggregator has partnered with other restaurants of the low quality of food, these shortcomings would for sure impact your restaurant’s image as well. → Use multiple restaurant aggregators that are popular in your area and in your target audience, especially the ones with the highest customer satisfaction rates. → Try to find third-party aggregators that best suite the type of food offered by your restaurant. As food delivery apps market is becoming more and more saturated, companies start to differentiate themselves by offering only healthy food, only vegan food options (HappyCow), or late night deliveries (Feast). → Only pay for premium placement on the aggregator website during your slow times. In most cases, food delivery aggregators will levy a fee for your restaurant to appear on the first page of search results. Although this might result expensive, it is a tool that helps you draw more customers to your restaurant. It is a good idea to optimize those expenses, for example, only pay premium placements during slow days or off-peak hours between lunchtime and supper time in order to seek extra business. These placements decisions are not permanent hence can be changed at any time. → Use 3rd party platforms to gain recognition while raising your own awareness and brand loyalty. Make sure that the returning customers don’t go through platforms that charge high fees, but make orders directly at your property. This model would not work for all restaurants and not at all stages of growth, but you should be aiming to achieve it in the long term. Developing in-house food delivery capabilities will require hiring a driver and building your restaurant’s online ordering platform (you could also use ready-to-use white label options). → It is important to understand what it would cost you to do deliveries on your own as compared to getting one done by the aggregators. Be sure to understand the cost of managing delivery yourself as opposed to outsourcing it to one of the 3rd party aggregators. And if you decide to work with drivers hired by aggregators, make sure to monitor the condition of food delivered to your customers. 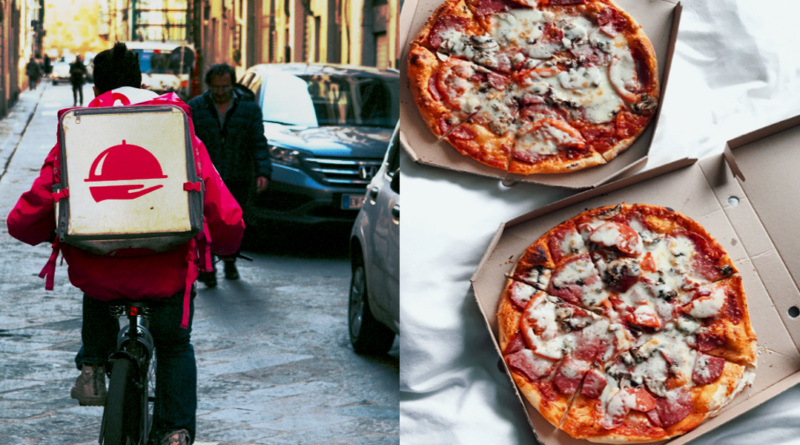 If the food doesn’t have the right taste or temperature due to poor delivery conditions, customers will blame the restaurant, not the delivery service. → Limit your deliveries to dishes that will travel best and save other specialties for in-house dining only. Create a special delivery menu which will be limited to dishes that will travel best, and save other specialties for in-house dining only. You could even create a delivery-only dishes. In this case, you can guarantee customers of a good state of food ordered and a reasonable time for delivery. → Ensure proper packaging doesn’t break or leak during transportation. There are packaging materials designed to keep meals in their original state. You wouldn’t want the number of customers to reduce because of the packaging. Packaging is very crucial since the customers will always blame the restaurant and not the delivery aggregator for a poor state of food delivered. → Make sure to get your restaurant values through to customers. As there are no or limited personal interactions between your customers ordering through a third-party aggregator and you/your employees, find ways in which you can reach your customers with a personal message. It could be a handwritten little note inside the meal box from the person preparing/packaging the food or a small freebie item that goes along with customer’s food preferences (for example a chocolate or muesli cake). → Always update your customers via text or use a dedicated aggregator mobile app that allows customers to track their orders in real-time. Give accurate delivery estimates based on where your driver is located at the time of a call. Most consumers consider the speed of delivery a key factor in satisfaction. If the customer has to reheat a bowl of soup, it creates a negative experience and will harm their perception of your food. → Create an easy experience to customers through these food delivery aggregators. The main reason why people order food online is that they look for an easy and fast experience. The tiniest frictional points while ordering food might lead to customers seeking other options. Make sure you menu isn’t too big so that your customers don’t have to scroll through it endlessly. It is also a good idea to create a menu sets of items that are commonly bought together. This way you will spare your customers a few clicks. → While getting many digital orders, look for ways to maintain the trend. You will not only retain the current customers but also get many more from referrals. Strive to provide ways or loyalty programs that would keep the customers coming and referring family and friends to order food from your establishment through a preferred aggregator or, even better, directly on your own platform. → If the volume of your pick-up orders increases dramatically, open up other outlets that can simply act as pick-up points that are distributed throughout your region. This can make pick-up more efficient for the restaurant’s food delivery aggregator and more convenient for the guests. This is because it reduces the time taken for the food to reach the customers and would also mean that the food delivery aggregators will charge you lesser than usual.